Israel (or Yisrael) Yakovee was born in 1947 in the city of Rehovot, Israel, to a traditional Yemenite family and had his early education through high school in Israel. Israel's love of Israeli folk dance started in the Kibbutz youth movement and he was further introduced to the world of dance when his kibbutz sent him to an institute for folk dance instructors in 1963. He studied there for two years and continued on a professional level when he became a certified Israeli folk dance instructor. He served three years in the Israeli army, then became a professional dancer in several well-known performing groups in Israel. Israel came to the United States on a foreign exchange program and received a degree in Physical Education and Sports Medicine from the California State University in Northridge. He also worked in the Physical Therapy Department at Northridge Hospital. In 1968, Israel received a dance scholarship from Bat-Sehva Institute. There he studied modern dance and classical ballet. 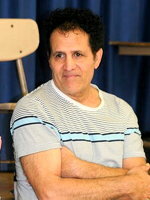 He later performed at the Alhambra Musical Theatre in the Israeli production of "Hello Dolly." A year later, he joined the Carmon dance group and traveled with them to the United States. He left Carmon to become a foreign exchange student and came to Los Angeles where he began teaching folk dancing as a past time. He was further introduced to folk dancing at Camp Blue Star under its legendary director Fred Berk. Israel specializes in Yemenite-Jewish folklore and dance. He was a regular at Cafe Danssa, The Intersection, and Zorbas folk dance coffeehouses and has taught at many dance camps, including the Stockton Folk Dance Camp in California. Israel has taught master classes and workshops in Australia, Canada, Europe, Israel, Japan, South America, and Taiwan. He has taught several dance tours across the United States and teaches two ongoing weekly sessions in Westwood, California, with his wife, Michelle, who is also a teacher (Israel has five children and a couple of grandchildren). Israel has worked with several performing groups, including the famous Inbal Dance Theatre. He was choreographer for the Finjan Israeli Dance Ensemble, co-founder of the Hora Shalom Israeli Dance Institutes on both the East and West coasts, and founder and director of the Finjan Labor Day Weekend (now named Finjan-Hilula). He has performed throughout the United States and Israel. Israel is a Master of Ceremonies, entertainer, and dance instructor, with more than twenty years in the entertainment business. And, as a professional disk jockey, he is available 24 hours a day and can deliver top-quality sound from a high-tech system. He specializes in creating memorable energy and excitement for intimate private parties to huge social bashes. He can also provide big screen video or live entertainment (dancers, singers, musicians, performing groups). Going to the gymnasium, working out, playing basketball, and running on the court with kids his own son's age keeps Israel active and happy. "I love to dance and choreograph new dances because," as he says, "it is in my blood and I am traveling to workshops all over the world." Israel remarried in the late 1990s. 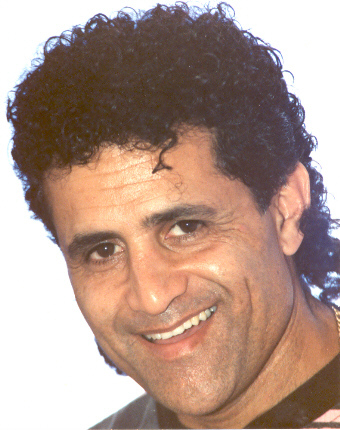 Israel has written several articles on Israeli dance and is a producer of Boi Tieman records. His Lior CDs of mostly Israeli folk dance music is available directly from Israel. Dances Israel has taught include Abba Shimon, Abanibi, Achay Bney Teiman, Achot Lanu Ktana, Agadelcha, Ahavat Shaday, Al Na Tikvi, Ani Ohev Otach Leah (Leah I) (Otach Lea), An'im Emirot, Avinu Malkenu, Ayale (King of Israel), Ayelet Chen, Bat Melachim (Tzur Manoti), Bat Teiman, Beit Halomotai, Chata HaBara Mitzvah, Chatuna Teimanit, Chazara Lamutav, Da'ase, Dan VeDanna, Daw Da Hiya, Dror Yikra, Eheyeh Asher Eheyeh, Eilat, Ein Li Ish Milvadi, Eizo Medina, Galbl, Haleli-Or, Hashevach La'el, Heydani Dance, Im Nin'alu, Ima Bracha, Inshalah, Ish Sichi, Kadur Regel (Choleh Al Kadurregel), Ka'ashe Li, Karoun, Kino's Dance, Kol Nedarai, Klilat Hod, Kumi Ori, Lafalach Harimon, Machmad Levavi, Mat'ar, Mechol Bracha, Mi Li Yiten, Midbar, Miyimtza Li, Mocher Prachim (Hora Perach), Naaneh La'el, Nargila, Ofra, Iked Vene'ekad, Otach Ima, Rachman Rachem, Rikud Heydani (Heydani Dance), Rosh Berosh, Sar Hememuneh, Shachar Ya'ir, Shavnu El Eretz Ha'avot (Shir Hameah), Sheharhoret, Shevach La'el, Shimi Aniya, Shir Hakirvah, Shir Me Abba (Simanim Shel Derech), Shney Plagim, Shoof-ni, Shoshanat Teiman, Shufni (Haviv Huvani), Shur Dodi, Shuvi Kilat Hod, Sovev Galgal, Sukar, Tawshich, Torat Moshe, Tzel Etz Tamar, Tzovet Li Ba Lev, Ya Rabi, Ya Yuma, Yada Na, Yasin Aliek, Yelud Isha, Yemenite Rap (Tzina El Yamen), Yom Shabat (Be'yom Shabbat), and Yonati.